So far, 2015 has been an excellent reading year. Sure, I've endured some stinkers, but I've enjoyed some great books as well. 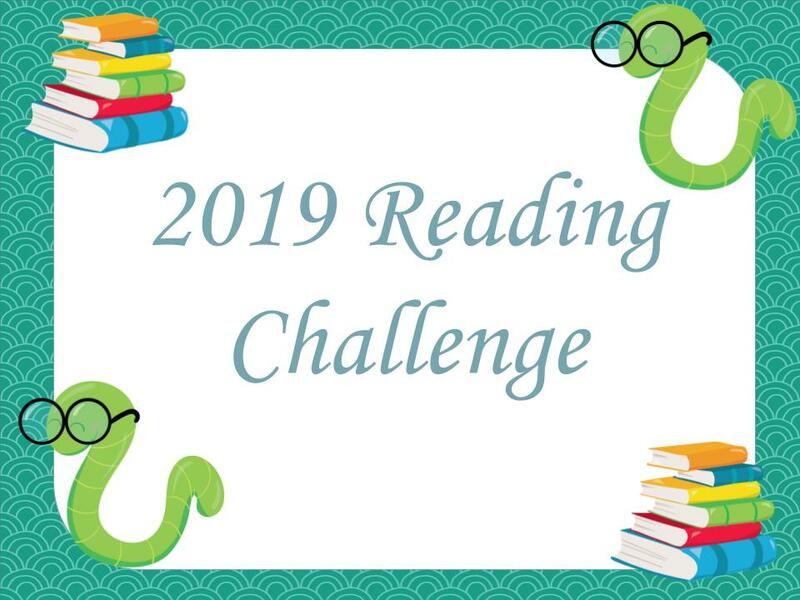 Of the 72 (soon to be 73) books I've read this year, I can honestly say I liked the majority of them. That's not true every year. Since the Top Ten Tuesday question du jour is about our favorites of the year, I thought this would be a good time to highlight some of them. 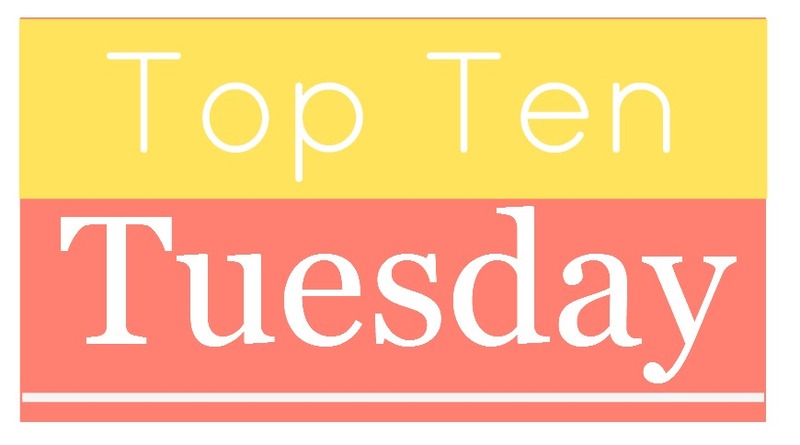 My hands-down favorite part of Top Ten Tuesday is getting suggestions from the lists of other book bloggers. So, join in, will you? It's super easy. 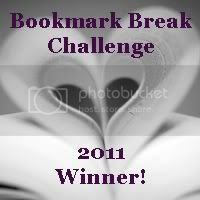 All you have to do is head on over to The Broke and the Bookish, read the participation instructions and follow them. Voilà, you're part of the cool crowd! Simple. 1. The Rosie Project by Graeme Simsion—I loved this book about a man with autism/Asperger's who's out to find the perfect wife ... and ends up with the most unsuitable woman in Australia. It's hilarious. Literally had me laughing out loud. In public! 2. At the Water's Edge by Sara Gruen—This novel about a spoiled socialite who follows her thrill-seeking husband and his equally adventurous BFF to Scotland during WWII to look for the Loch Ness monster is a nuanced, atmospheric novel of surprising depth. Although it's a sad story in many ways, it's a joy to watch how the heroine transforms from the beginning of the novel to the end. 3. The Crossing Places by Elly Griffiths—Kay, a blogger I've followed for a long time, always recommends great new mystery series that I've never encountered before. So far, I've really liked this series about a quirky British archaeologist who gets pulled in to help the local Detective Chief Inspector solve cases. I've read the first three installments, but The Crossing Places (which comes first) is still my favorite. 4. 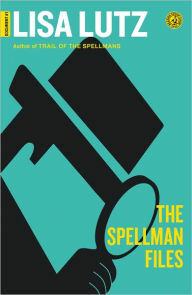 The Spellman Files by Lisa Lutz—Screwball comedies aren't usually my thing, but I happen to adore this series. It concerns a family of private eyes who refuse to trust anyone ... especially each other. I've had fun reading the first two books, which are equally zany and laugh out loud funny. 5. 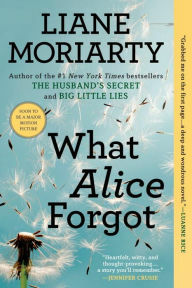 What Alice Forgot by Liane Moriarty—It's no secret that I love this Australian author. I've read about half of her novels and enjoyed them all. This one is about a 39-year-old mother who, because of a head injury, wakes up thinking it's 10 years earlier than it really is. 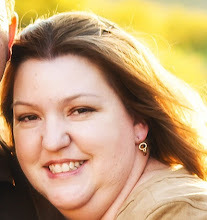 As she becomes reacquainted with her real life, she's astounded to realize how much has changed with her family, her friends, and her marriage. It's a compelling story that's both funny and poignant. 6. 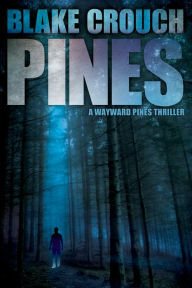 Pines by Blake Crouch—This series (which is now a miniseries on Fox) concerns a Secret Service agent who comes to a small Idaho town in search of two missing agents. Not surprisingly, things are not at all that they appear to be in quaint, picturesque Wayward Pines. From the first page of Pines, I was totally sucked into this story. I ended up downing the whole trilogy almost in one setting. It's quick, edge-of-your-seat reading that will keep you guessing. 7. 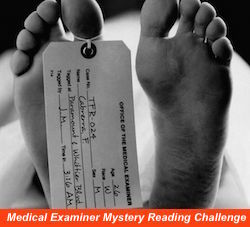 Speaking in Bones by Kathy Reichs—Again, it's no surprise that the newest Tempe Brennan mystery is on this list. I've loved the smart, dedicated forensic anthropologist ever since she was introduced in Deja Dead (1997). Since the last book had a bit of a cliffhanger ending, I was especially excited to see what happened in Speaking in Bones. Tempe works with a crackpot amateur detective to find a missing girl while also dealing with her very complicated personal life (re: Andrew Ryan). 8. A Handful of Stars by Cynthia Lord—Lord writes heart-felt books about kids dealing with real-life problems. Her newest concerns a lonely girl in Maine who unintentionally befriends a Hispanic migrant worker. As their friendship grows, they face surprising (or not so much?) opposition from the small community where they live. It's a thought-provoking story that reinforces the importance of tolerance and accepting people for who they are, not where they come from or how they look. 9. Death Coming Up the Hill by Chris Crowe—This book-in-verse about an Arizona teenager's reactions to the Vietnam War is both inventive and moving. It's a fast read, but a profound one. 10. 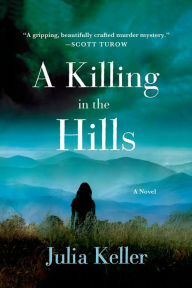 A Killing in the Hills by Julia Keller—I don't do a lot of browsing at the library these days, but as I was looking for a book by another "K" author, I came across Keller's series about a West Virginian lawyer who returns to the town of her birth in an effort to make a difference in impoverished, violence-riddled Raythune County. While the books (I've read the first two so far) are exciting mystery/thrillers, they also provide an intimate, unflinching examination of Appalachia and her people. There you go. Have you read any of these? What did you think? Which titles are on your list? If you leave me a link to your TTT, I'll be sure and visit. So many great books here!! Rosie Project made my list too! LOVED What Alice Forgot and enjoyed At the Water's Edge. I really want to read the Wayward Pines series soon. Great list!! I haven't read any of these yet but I do have The Rosie Project and What Alice Forgot on my tbr shelf. So many of your books are on my TBR. Elly Griffiths in particular is an author I've really been wanting to try. Great list! I really want to read The Rosie Project before the movie comes out. And, I love the cover of At the Water's Edge. These are all really great picks! I really enjoyed At the Water's Edge. I loved the heroine's transformation, too! & the atmosphere of the Scottish highlands and the loch. The twist ending was very Water for Elephants, but I enjoyed it nonetheless. I'm adding so many books to my list b/c of your list. Yay! What Alice Forgot has been on my to read list for a while now. I think I'm going to make it a goal to read it before the summer is over. I've only read The Rosie Project from your list and I agree! It was so hilarious, but sadly the second book didn't deliver the same fun the first one did. I had no idea Pines is a book series! I've seen it on IMDb and thought it sounds like a great story with just the right amount of creepiness but now that I've heard of the book I'll definitely read that before starting to watch it. A Killing in the Hills sounds pretty amazing as well! Glad you find so many books to love this year. I haven't read any of these either, but I do want to pick up The Rosie Project soon and now What Alice Forgot too! :) They all look really interesting.